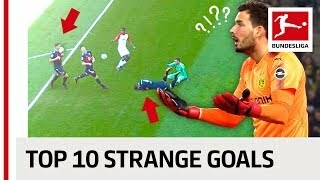 The best goals of the first half of the season! Sensational free-kicks, acrobatic scissor kicks and long-range rockets! The Bundesliga is pure spectacle as the clubs deliver one goal-fest after another. We present the best goal scored by each team during the season so far. 18 clubs, 18 goals. Do you agree with our choices or which were your favourite goals? Let us know in the comments! 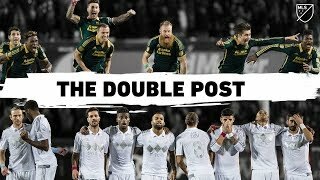 Goals, bloopers, highlights & much more - only the best of the best from Germany's football league! Enjoy the top compilations of the Bundesliga stars and let us know what you think of our selection. Is there anything you’d like us to know? Leave us a comment! 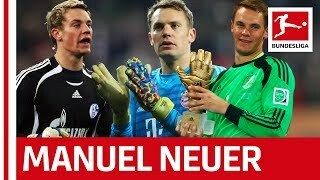 The Official Bundesliga TheXvid channel has much more to offer! Subscribe now and visit us at bndsl.ga/comYT to enjoy more great Bundesliga action! Instead of repeating the celebration many times, you could have at least added one more repeat of the goal from a different angle. 1:44 hakami's face tells it all. Wow, were there no good team combination goals? Seeing only long and medium range individual shots is... monotonous. Each league should do the same video, it would be interesting! Jovic, absolutely insane no look half volley. Whaaaaat?, Alcacers goal? Piszczeks goal is way better. The goal by Dortmund should be Reus vs Bayern. Mitch Weissers volley from 20 yards against dortmund? Commentators are so on point !!! Almost every goal is a strong shot from afar. Coooll, we watched the same last year, how could those guys be that good??? I have to praise all the clubs for this beautiful goal but I liked Augsburg, Nurnberg and Borussia Dortmund the most. Rafinha's goal against Frankfurt on matchday 17 should have been featured instead of Alaba's.